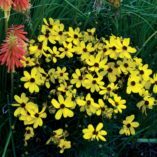 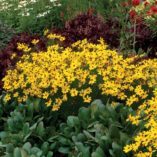 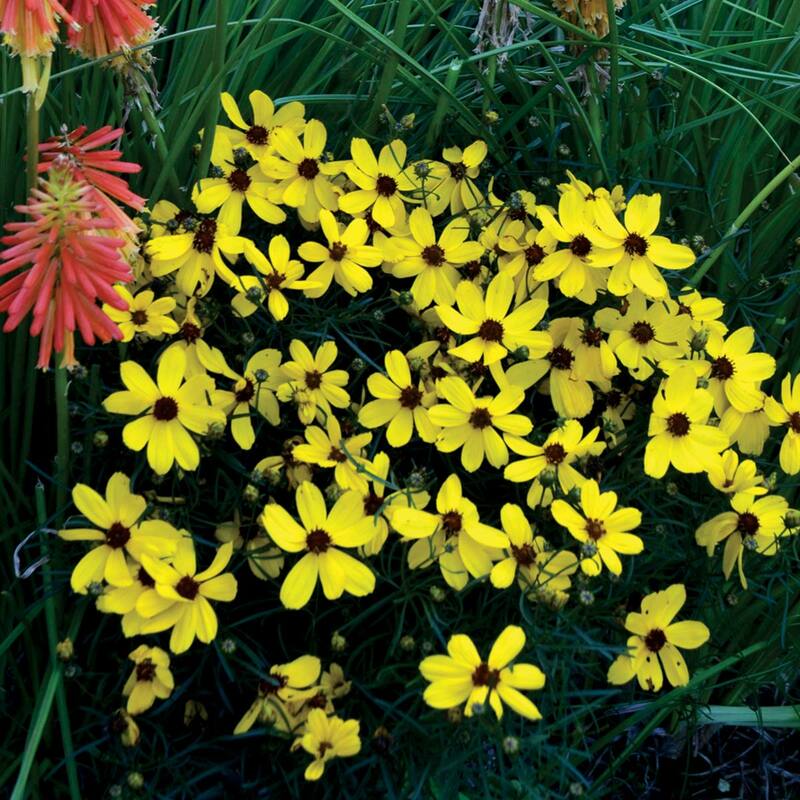 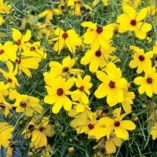 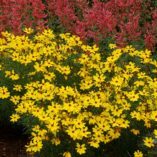 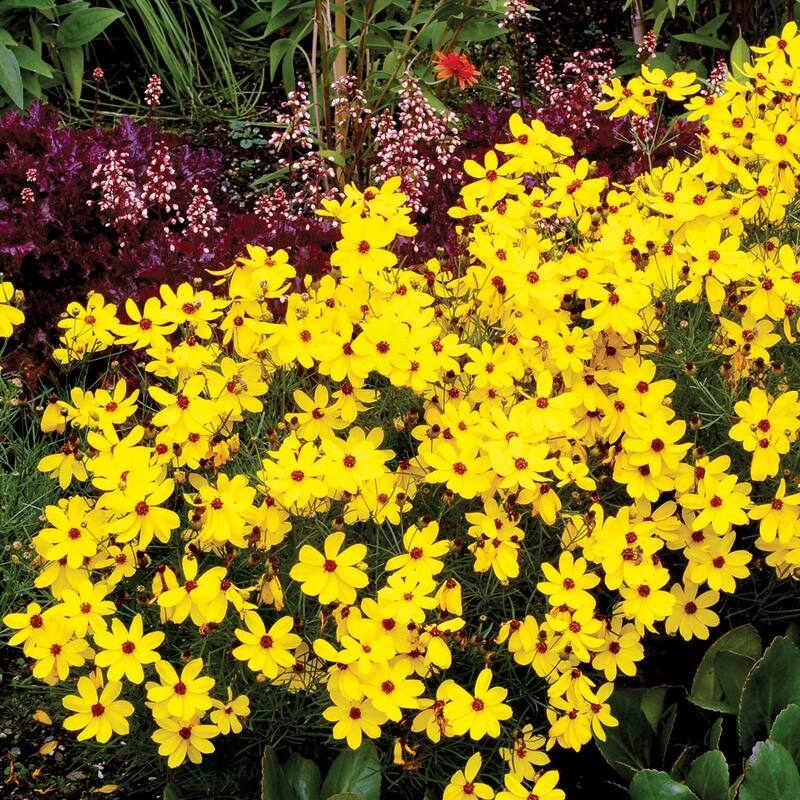 Coreopsis ‘Imperial Sun’ | TERRA NOVA® Nurseries, Inc.
Amazingly bright, sunny gold flowers cover this plant in masses and waves of continuous color. 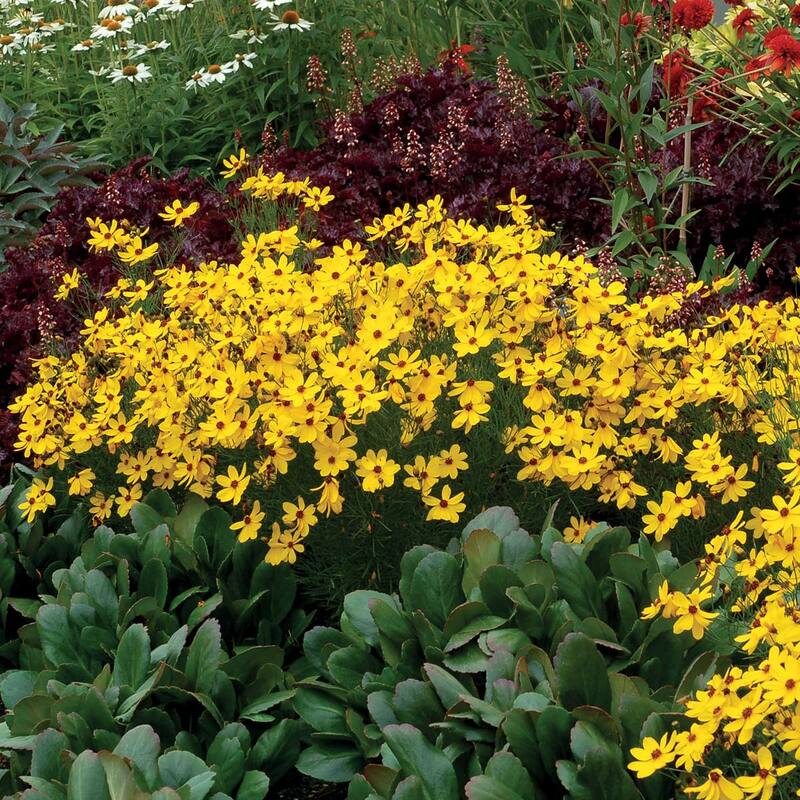 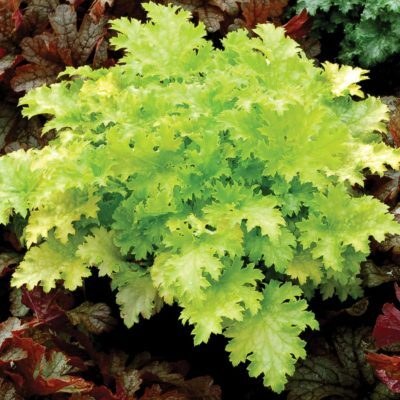 Clean, deep green foliage is the perfect foil for the flowers… when the foliage is visible. 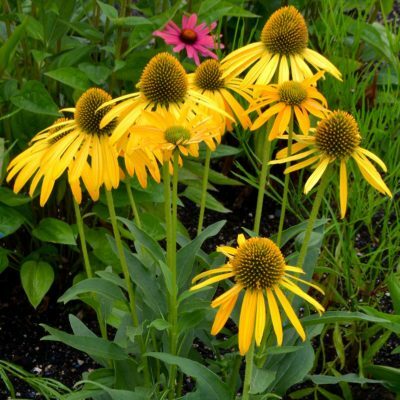 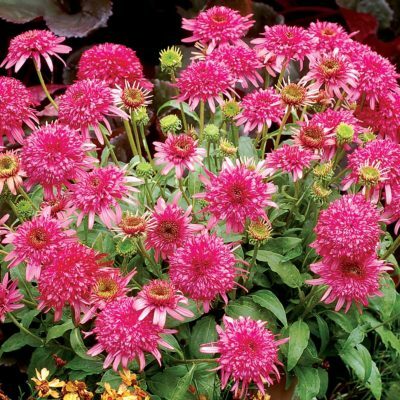 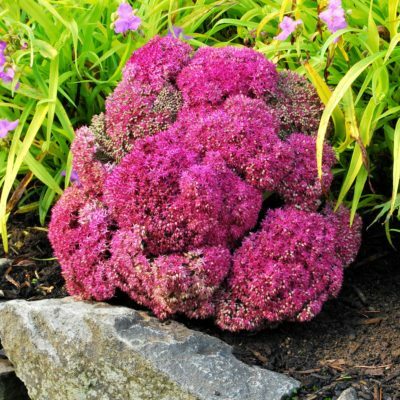 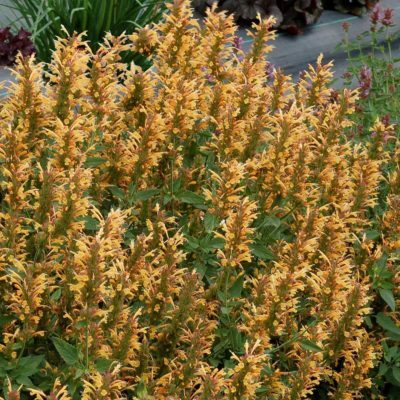 Blessed with a perfect habit, this extra hardy garden marvel is very much at home in a container or a long lived garden feature. 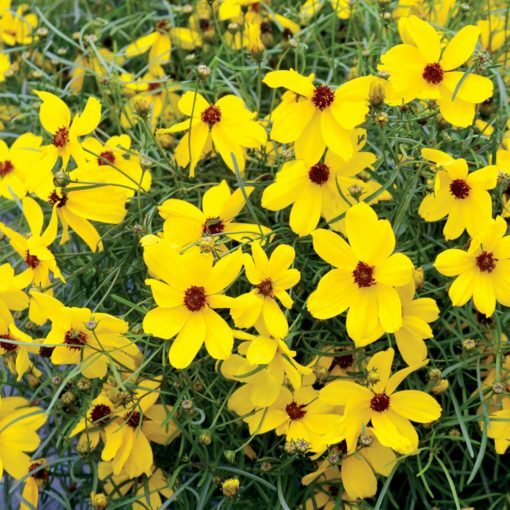 Coreopsis verticillata breeding makes this mildew resistant selection ultra-hardy. 18" / 22" / 20"
Compared to Coreopsis verticillata 'Zagreb', 'Imperial Sun' has larger inflorescences and a shorter habit.